I have been thinking a lot lately about priorities and specifically about what my priorities should be. There are the obvious ones, like my relationship with God and things that nurture it, like prayer, devotions and worship. Then there is family - devotion to my husband and children and my role in their life as wife and parent, from the spiritual aspect to the practical aspects, like laundry and meals and housework. But what about the opportunities beyond these essential priorities? What comes next? The main priorities consume a good majority of my time, but there are a couple hours a day left for the 'other' stuff. I often wonder and pray about if I am spending that time on the right 'stuff'? There are many things I enjoy doing during that time, but they can often turn into mini gods and can spill into the other areas of my life and cause me to derail from my focus on the real priorities. For example, as I work on stuff for my latest business venture - SpeedScraps - it is easy to get caught up in the details of it. I can spend way to much time looking at the facebook page to see if their are new fans and then checking out their blogs and websites and before I know it, an hour or two has passed and I have accomplished little. Yes, I enjoy doing it and it is a 'downtime' for me, much like television for others. But I have just been wondering lately if there is something else God wants for me. As I was thinking about this on Sunday, God impressed on my mind two particular people that I think He would like me to invest some of my time in. Then, at Church later that morning, the message totally affirmed the ideas that were going through my head about how to invest in these two people. I have also realized in the last couple of days that the things that make me smile the most are when I hear people say 'you inspire me' or even better 'you have influenced my walk with Christ' and this helps me to re-focus my priorities. I am putting these thoughts in writing here as a way to hold myself accountable to what has been going through my head the last few days. It would be very easy for me to brush off these thoughts as too time consuming and requiring to much self sacrifice. But I know from past experience that when I follow and obey these promptings, blessings follow. So, what are your priorities? Anything God is nudging you to do or change? 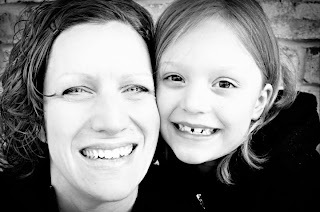 Lately, we have been dealing with a certain six year old and her sassy, flippant attitude. I knew these days would come, especially with two girls, but I guess it is just happening sooner than I anticipated. Tuesday night was an especially difficult night and left me wondering if I am equipped to handle being a mom and if this is 6, going on 7, what will the teenage years be like? Today, I attended 'Muffins with Moms' at Regan's school. 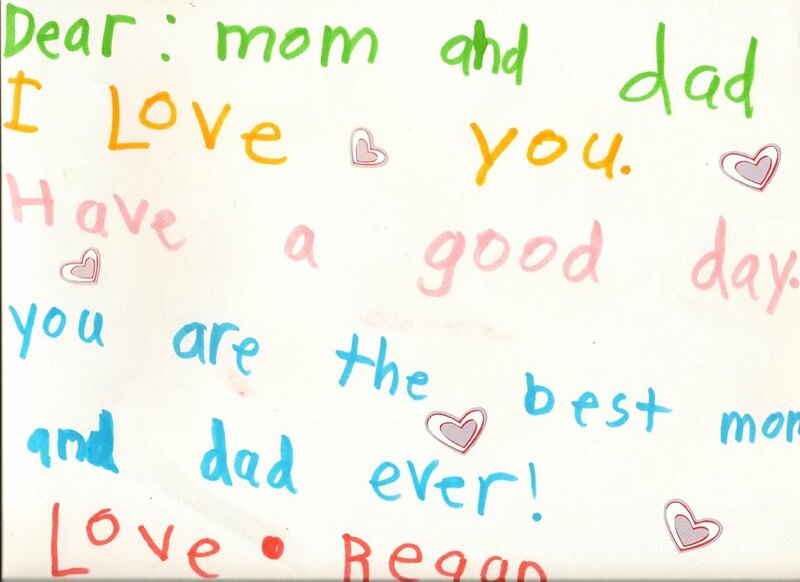 It was a special time for all first graders to spend with their moms, in honor of Mother's day. The kids did a lot of fun things in preparation for the event. They planted little seed pots, decorated bags for the muffins to go in and decorated place mats. They also made 'paper moms' (large paper dolls decorated to look their mom) and filled out a booklet called 'My Mother'. She likes to hug me. Sometimes she talks to herself. But the best thing about my MOM is that she's prety. My mother is 37 years old. My mother's favorite sport is baseball. My mother's name is Cristiy. My mother and I like to read. My mother is great because she makes me dinner. My mother likes it when I help her. My mother likes to run. My mother's favorite food is muffins. My mother's favorite color is blue. I love it when my mother play with the dog. My mother is good at Wii. They also put together a slide show of photos with each child and their mom. The kids then made a little audio clip stating what was special about their mom. 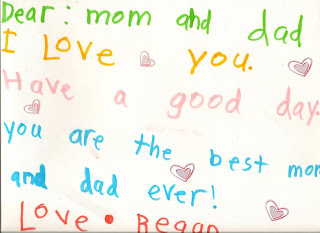 Regan's comment was 'My mom is special to me because she packs my lunch every day. '.